Quinns: Good morning, my mewling clutch of board-kittens! You look adorable! Alas, I know your secret. If you don’t get your weekly games news, you’ll become a snapping, thrashing pit of board-gators, keen to rend my body like so much gory blu-tac. I’m quite attached to my body (specifically, by my skeleton) so let’s get you your news. 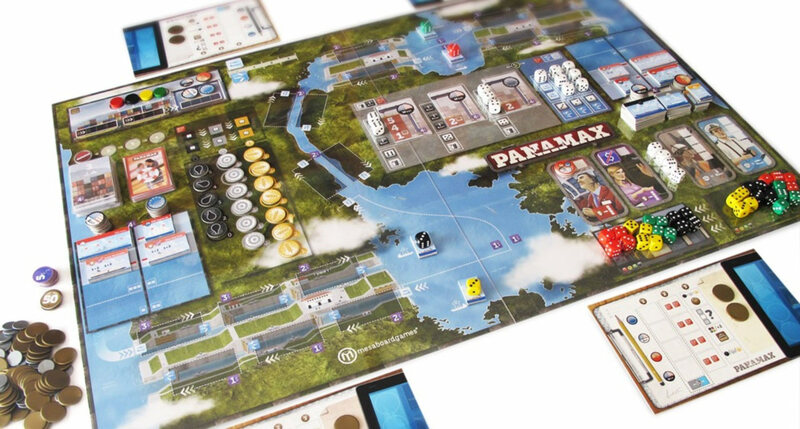 It’s the 100th anniversary of the Panama Canal, and Stronghold Games has announced PANAMAX, a board game of managing shipping companies located in the Free Zone of Colon. An area I thought was to be found nnnnnnno apparently I have too much moral fortitude to make that particular joke about Paul’s mum. 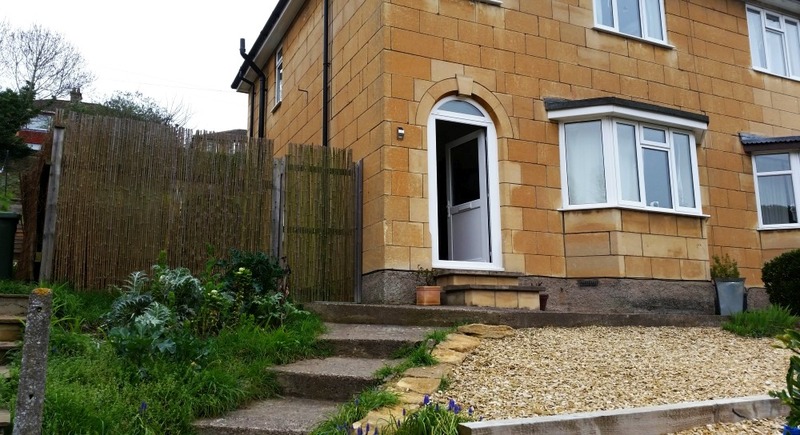 I like the look of this one. I’ve not played anything from any of the three designers, but the board looks sunny and the description conjures an image of thumbing through wads of cash and sucking air through your teeth on a lazy Sunday afternoon. 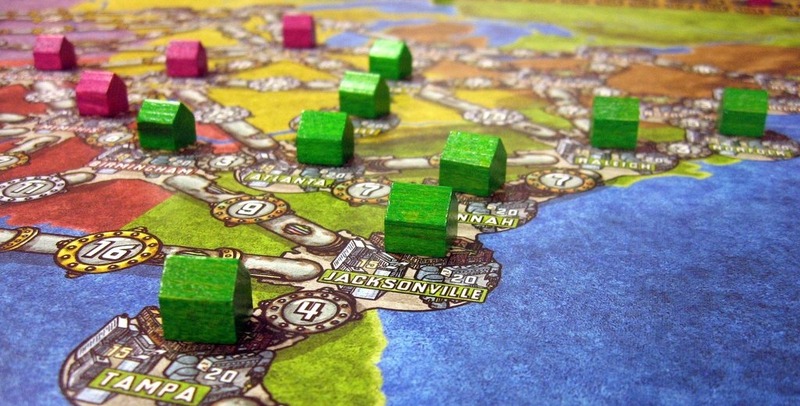 Some of you grizzled board-gators probably prefer your economic games with a little more muscle and teeth, though, and you should be excited about the newly-announced 10th Anniversary Edition of Funkenschlag, a.k.a. Power Grid. Hot on the heels of the giant 10th Anniversary Edition of Ticket to Ride, as well! Ooh, you guys are gonna have some tough purchasing decisions ahead of you, both in and out of these games. Do you get the gorgeous, definitive version? Or the cheaper version that’s compatible with all the expansions*? If you’re not aware of this classic German game of competing electric companies, Paul and my review described it as “being beaten up with a briefcase full of cash.” First, players engage in bareknuckle auctions for the power plants themselves, then they’ll tangle one another up with electric cabling and red tape on the main board, and finally the smartest among you will emerge victorious with someone’s intestines draped across their shoulder like a sash. It’s great! It really is. Just absolutely unforgiving. Anyway, this commemorative edition will include a giant board, gassier rules (which is to say, rules featuring natural gas) and plastic coins. None of which I care about, because all I want is for them to fix the original’s hideous board (above). Urgh! I still hate it. Every square inch of it is like somewhere you’d bury a body. DISKWARS! It’s certainly a thing that exists and that you can buy. But that’s not all! Fantasy Flight has announced the first two expansions, a box full of dwarfs and another box containing skelington-bones. 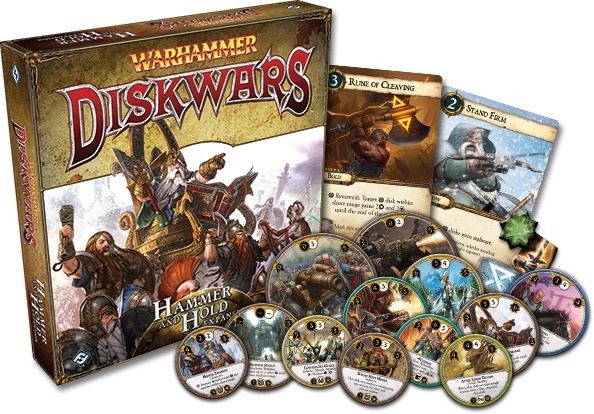 Everybody here at SU&SD towers feels the same way about Warhammer: Diskwars (this is FF’s reboot of the classic disk-flipping wargame, in case you missed it), and it’s summed up by this story. Myself and Mike, SU&SD’s programmer, were walking around BoardGameGeek con last year when we passed a lovely stand showing off Diskwars. Green felt tablecloth to act as grass, a battle artfully displayed, the whole bit. “I KNOW,” came back Mike’s own whisper, shot from his mouth like the world’s most relieved bullet. All of us are just so excited about everything new and exciting happening in analog gaming today, and a Warhammer theme feels like the hobby taking an awkward lunge backwards, its testicles briefly visible from out of its ill-fitting board shorts. It’s just not cool. 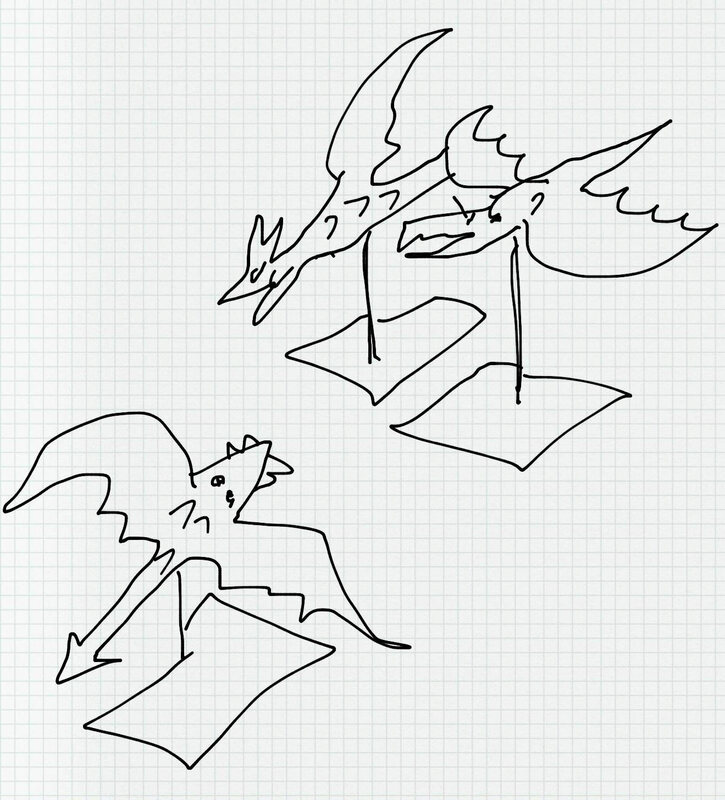 Attack Wing: Dungeons & Dragons, but actually I just got Leigh to draw some nonsense because there are no images yet. But it’s true! Wizkids has announced that the Wings of War system, which brought us the new X-Wing Miniatures Games and Star Trek: Attack Wing, will soon be applied to the dragons of the D&D universe. This’ll feature rules for the dogfighting dragons themselves, as well as some extra rules for giants and magic users on the ground, flinging stuff at them and generally being unfair. So if tiny pre-painted starships didn’t do it for you, maybe pre-painted dragons will! 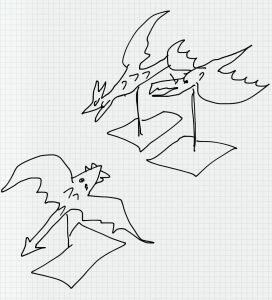 Although while dragons pinwheeling and breathing fire across your desk might be a nice concept, judging by the Happy Meal-quality paintjobs featuring in WizKids’ own Star Trek: Attack Wing, I wouldn’t get too excited. Even the colour of those ships defies any adjective besides “Wrong”. 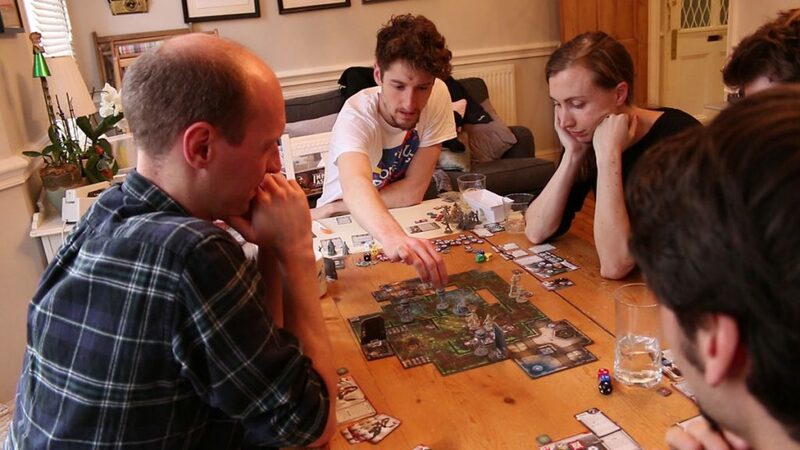 Breathtakingly expensive video game website Polygon has got the scoop behind the Portal board game, confirming what we’d already heard: This game isn’t the work of publishers Cryptozoic, but rather Valve, the Portal developers themselves. 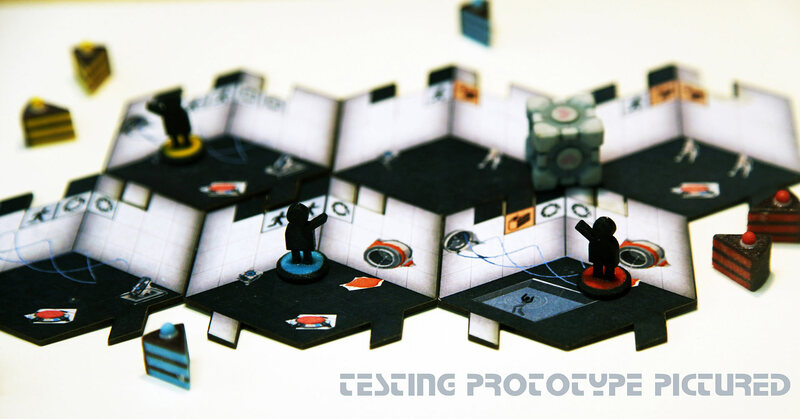 We also now know that players will be seeking to “test subjects in the most desirable test chambers,” and if anyone takes the lead other players might discuss how to get in there way, and… that’s it! We don’t like to discuss Portal video games here at work, but only because in the discussion of whether Portal 1 or 2 is better, there are no winners. And finally! A couple of Kickstarters-children for you to consider funding like an absentee parent. Small Box Games are shilling The Nile Ran Red, a set of three Egyptian-themed card games in one box. Apparently Small Box are a laudable, tiny operation that put out very high quality stuff like Omen. Unfortunately, they’re also one of those companies that operate almost entirely through pre-orders, thereby rendering the critic a vestigial organism. Even if I found a copy of The Nile Ran Red in a charity shop between the porcelain eggs and the trousers that smell of bread, I still wouldn’t be able to talk about it, because you guys wouldn’t be able to follow up on my recommendation. 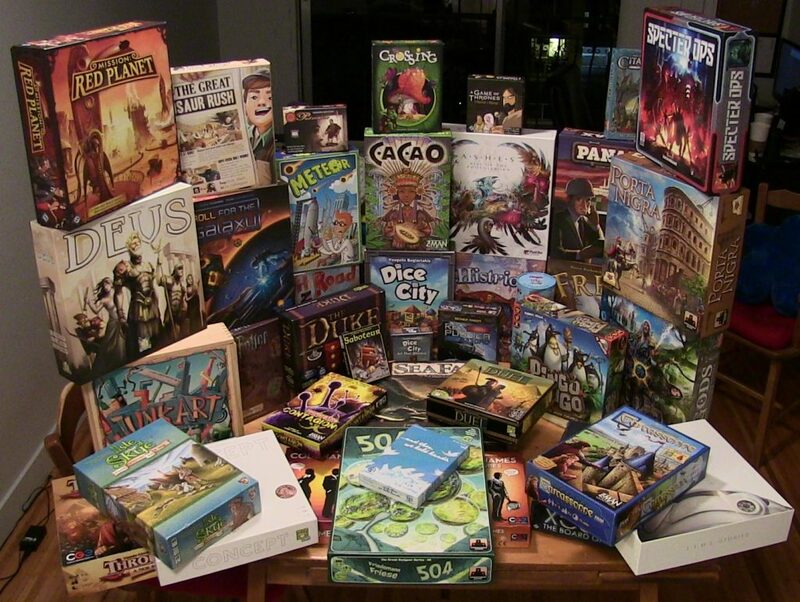 Alternatively, there’s Tower: A Board Game of Buying and Building, which is a… board game of… buying and building. These Kickstarters are just mocking me now. But it’s as eager to please as The Nile Ran Red is clandestine, eager to show off its badges, playtesting, components and fine backer rewards. *The only answer: Buy both, then bury them in your garden that same night to hide your terrible shame.